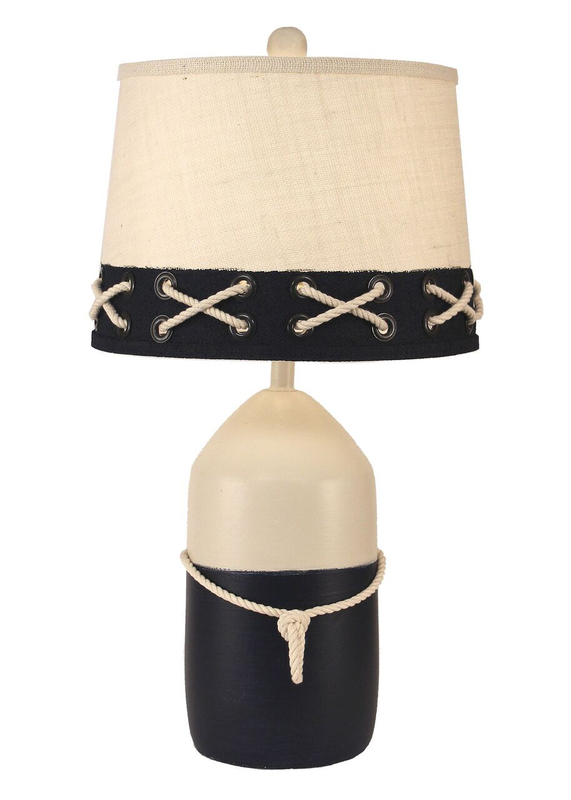 Large Buoy Pot with White Rope Accent Lamp. Overall height 26" and finished in Solid Cottage/Solid Navy. Shade measures 12"x14"x10". Three-way switch 100 max watt bulb (not included). Custom made upon order in the USA. Made upon order in the USA. Ready to ship in 3-4 weeks. Custom made for you upon order. Eligible for return minus 15% restocking fee. Please see our returns page for more information. Ships UPS ground.